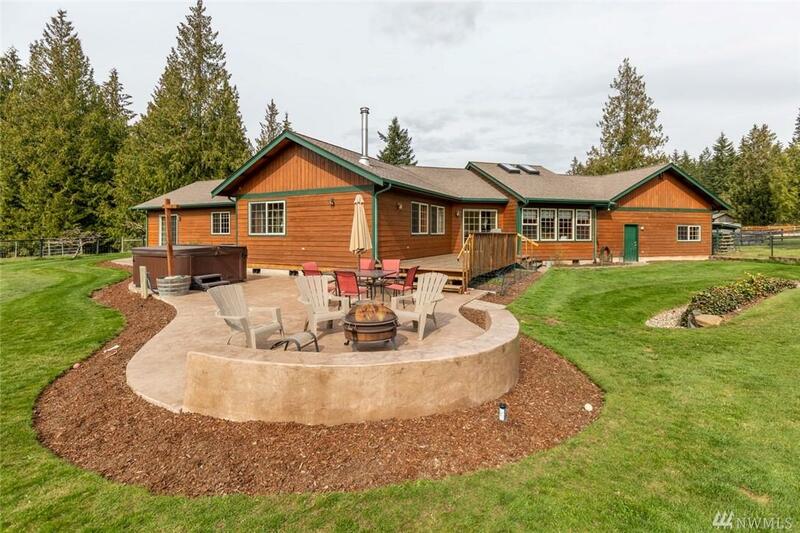 Custom Built, Cedar Rambler on park-like 5.1 acres! 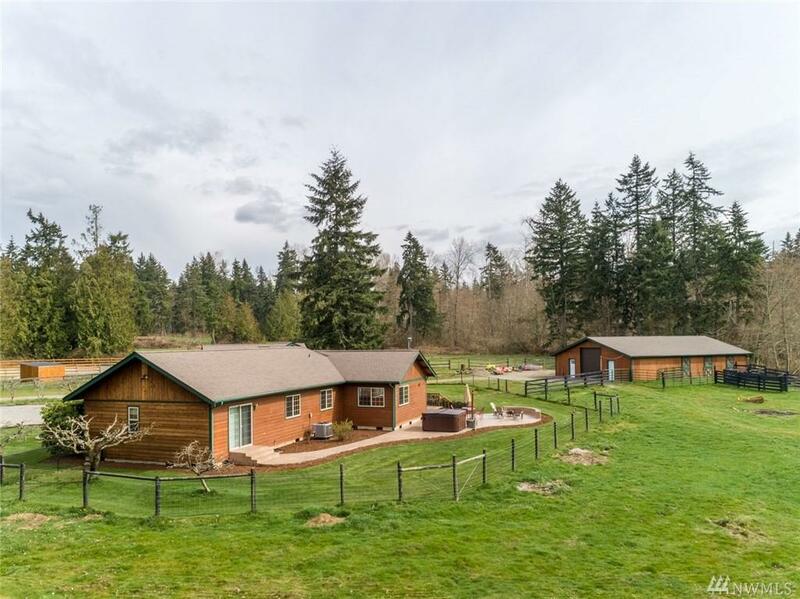 You will LOVE this One Owner property w/ 6 Stall Barn, heated/insulated tack/office, Wood Shop, Storage, RV parking,& 2 separate Pastures complete the setup. 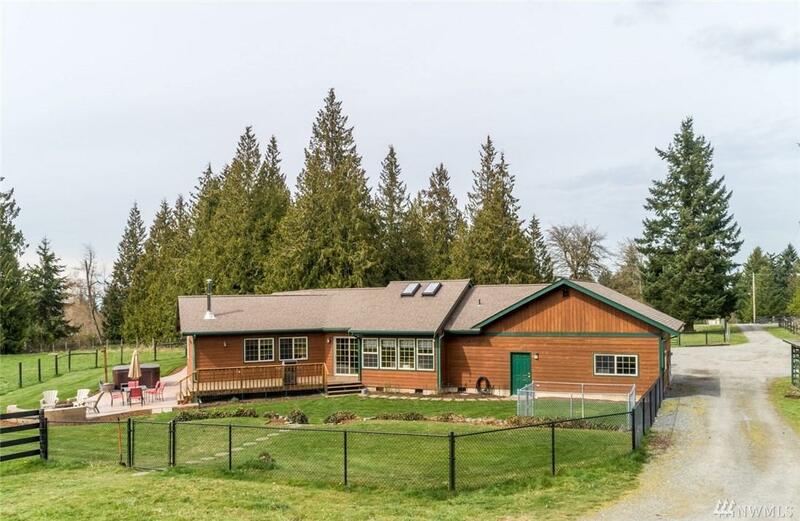 Inside, enjoy High End Finishes, Vaulted Ceilings,Swiss Cabinets, New Flooring, 3 Big Bdrms, plus bonus! Mstr with w/n closet,Shower w/ Body Spray! Chef's kitchen Stainless Steel, Walk In Pantry. 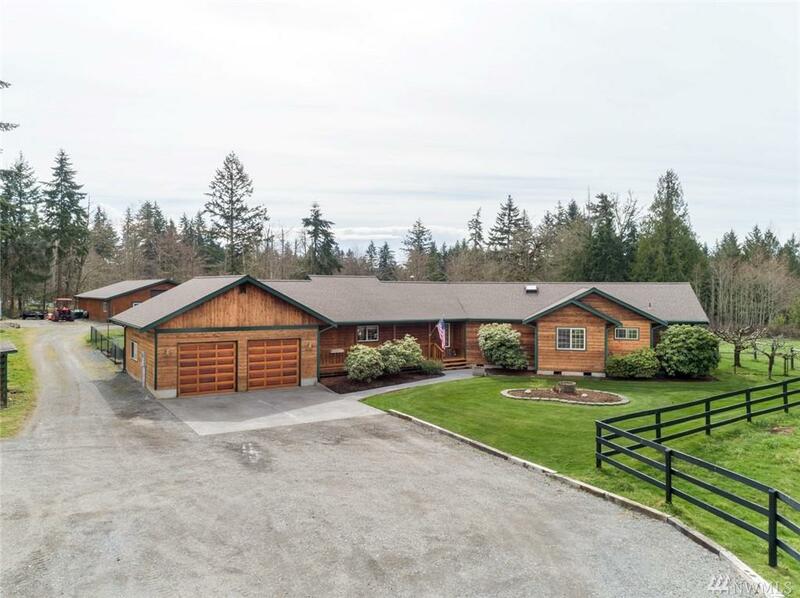 Fenced private yard, hot tub, stamped concrete, sprinkler, fruit trees, the list go on and on!